Jaimee, 15, is a sophomore at Century Academy. She began her violin lessons with Deborah MacCallum at age five and currently studies with Gayaneh Kumar. In her early years of violin study, Jaimee received scholarship awards from the Fe Bland Foundation and the Santa Barbara Performing Arts Scholarship Foundation. More recently, Jaimee won first place at the Southern California Bach Junior Festival Complete Works Competition in both the junior and senior divisions. She also won first place at the Greater Los Angeles Solo Competition by the American String Teachers Association and second place at the MTAC VOCE State Final. On 2014 Easter Sunday, Jaimee made her Carnegie Hall debut as a winner of the American Protégé International Piano and Strings Competition. In school, Jaimee is a straight A honor student. 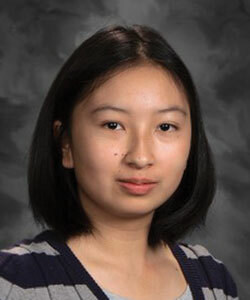 Besides violin, Jaimee enjoys reading and being with her friends.